Bessie M. Maxfield, 95, of Columbus, NE, formerly of Marshalltown, IA, passed away Sunday, August 26, 2018, at the Columbus Care and Rehab Center in Columbus. Funeral services will be 2:00 p.m., Friday, August 31, 2018, at Anderson Funeral Homes, 405 West Main Street in Marshalltown. A visitation will be held at 12:30 p.m., until the time of the services, at Anderson Funeral Homes. Online condolences may be sent to www.andersonfhs.com. Bessie was born on March 26, 1923, to Thomas and Ethel (Stanford) Matney, in Albion, IA. She attended school in Albion. On December 21, 1940, Bessie was united in marriage to James “Tiny” Russell Maxfield. They were blessed with four children. Bessie worked for Marshalltown Manufacturing for many years before moving with her husband to Donna, TX, where they lived for almost 20 years. She returned to Marshalltown before moving to Columbus, where she lived for the last year and a half. Bessie was a member of the Loyal Order of Moose. 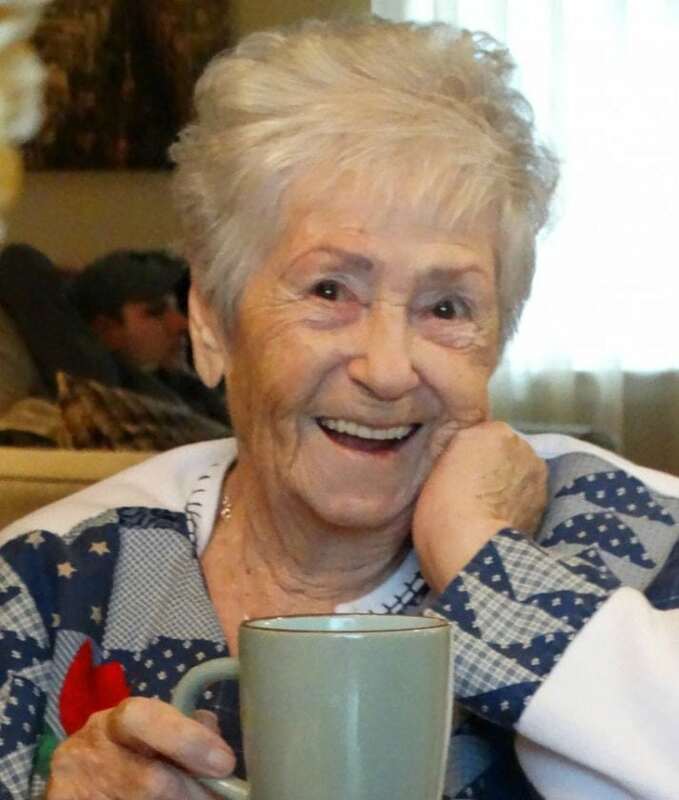 She loved dancing with her husband, playing cards with friends, Bingo, Dominoes, Yahtzee, reading and embroidery. Bessie is survived by two children: Brenda (John) Wardman, of Columbus, NE, and Allan (Jennifer) Maxfield, of Newton, IA; five grandchildren: Tambri (Kermit) Wilshusen, Todd Wardman, Christopher (Sandra) Wardman, Rodney (Tom) Maxfield and Kelly (Jill) Maxfield; three step grandchildren: Bruce York, Renae Lindemann and Benjamin York; 16 great grandchildren; eight step great grandchildren and five great great grandchildren. She is also survived by many nieces and nephews. She was preceded in death by her husband, James; two sons, James and Steven; a granddaughter, Nan; her parents and 11 brothers and sisters.